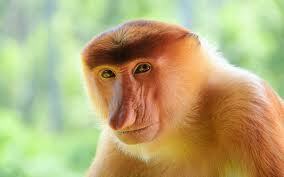 Borneo is the third-largest island in the world. 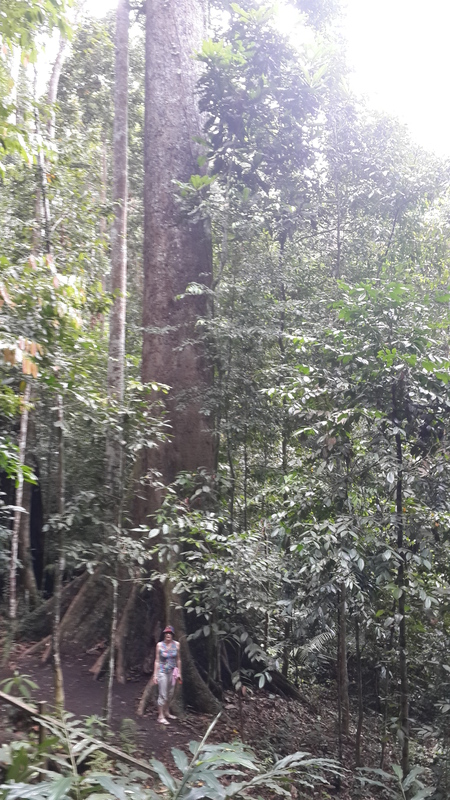 Some of the world’s carbon is locked up in its tropical forests, a good reason to leave the forests untouched, but a strategy that condemns the locals to a life of relative poverty. Enterprising as people are, they find it profitable (and it affords their families a decent living wage) to cut down a few acres of tropical forest and plant oil palms instead. Harvesting around 10 acres of oil palms yields an annual income of US $ 20,000 a year. By doing this, they are depleting the world’s remaining store of carbon, but does the rest of the world have a moral right to object, having already done so in the more affluent parts of the world over decades and centuries past? 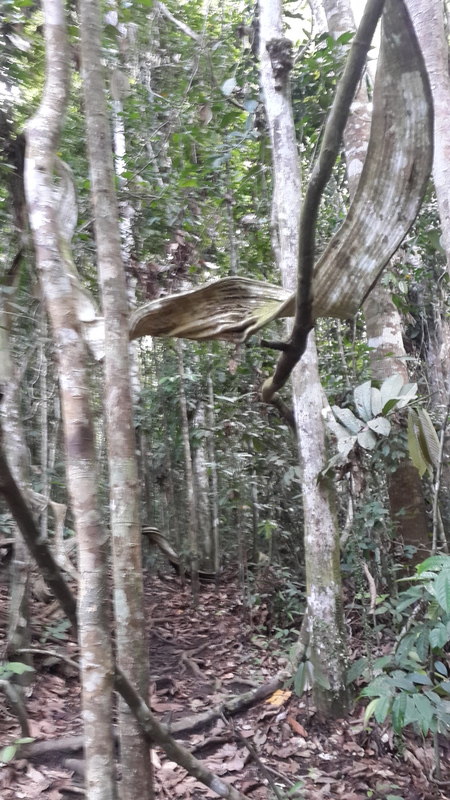 When asked, a small farmer shrugs and points to the undulating stretches of forest behind him. “I’m taking only 10 acres, and there’s over 100 million acres of untouched forest behind me.” Which brings us to the moral conundrum of climate change. A similar answer is heard from anyone who drives a car or flies to a holiday destination in a plane (yours truly, in this case); it’s just one more drop in the ocean. 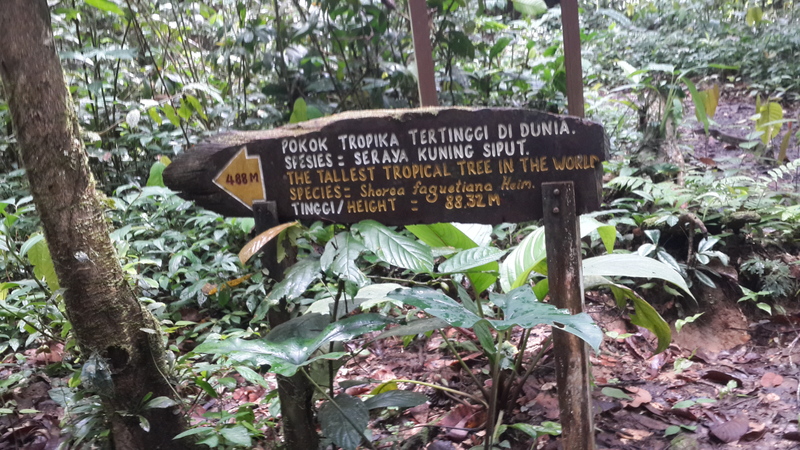 Surprisingly, in a tropical jungle, the undergrowth is not dense. One can see the forest and the trees; but not the leeches! Talking to a businessman in Tawau, the third-largest city in the Malaysian third of the island, he spoke of the pains taken to extract only some of the most valuable timber using heli-logging methods (with large helicopters) to lift harvested tree trunks from the jungle, leaving the surrounding growth and trees untouched for future generations, and with no access roads to encourage future encroachment. Clear-cutting, he assured, is practiced only on second and tertiary growth forests that are replanted for further harvesting. In Kalimantan, I was told, lightning strikes (both celestial and man-made) set fire to thousands of acres of primal forest, and these clearings are later used for palm oil plantations. Orang Utans are shy, solitary creatures, which is just as well for them, since encounters with humans, their close relatives, has not been very beneficial to them. 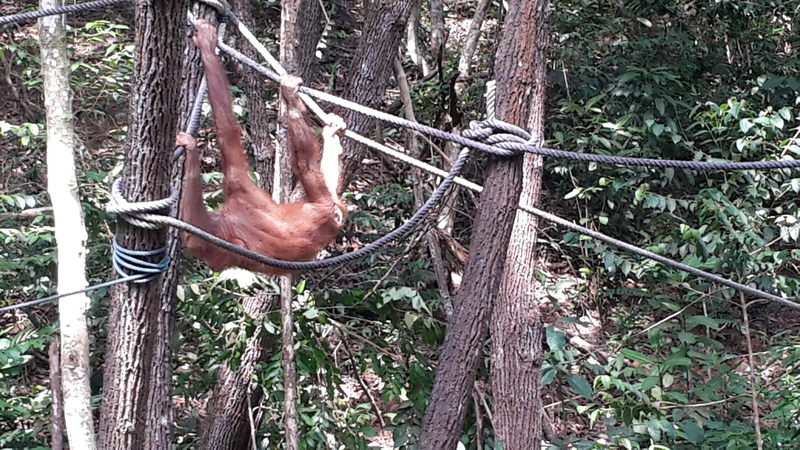 At the Rasa Ria Orang Utan rehabilitation center, and several other places on the island, considerable sums of money are invested in rescuing orphan orang utans from the wild. 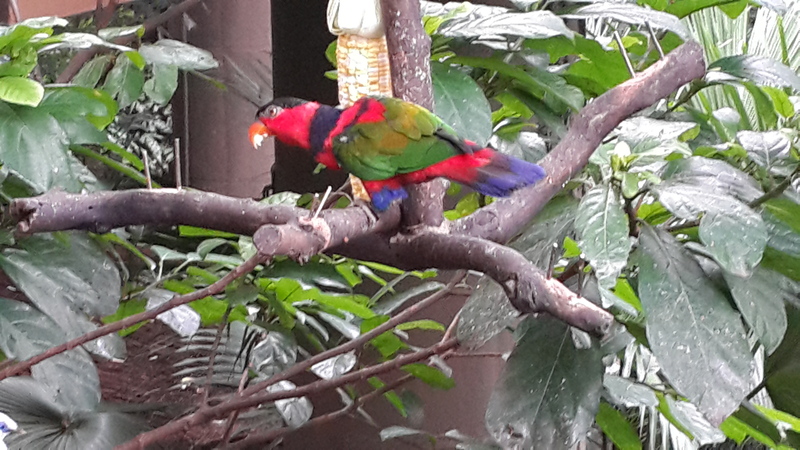 They are painstakingly rehabilitated over a period of 6 to 8 years before gradual release again into the wild. The rangers entrusted with the task are obviously dedicated to their charges and proud of the natural wealth of their island. 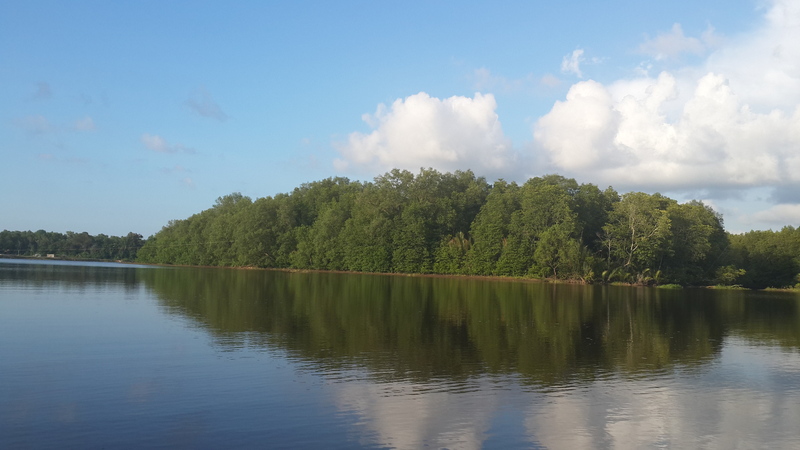 Will tourism provide for a sustainable Borneo? Only time will tell. Actually, what happens there is up to us, as we help to shape the future with our cumulative thousands and millions of daily actions. Ramcharitamanas (the lake of the deeds of Rama) is one of the greatest works of Hindu literature. Written by Goswami Tulsidas in the 17th century, it was written in Awadhi, a dialect of Hindi, and made the epic Ramayana, till then only read by the privileged few, (mostly upper castes) who knew Sanskrit, available to the common man. This widespread access to the Ramayana stories led to the birth of the tradition of Ramlila, the dramatic enactment of text, all over the north of India. Tulsidas lived during the reign of Mughal Emperor Akbar (the great, 1556-1605) who was noted for his religious tolerance, emphasised by his promulgation of Din-i-Ilahi, a religion derived from a syncretic mix of Islam, Hinduism, Zoroastrianism and Christianity. To underline the point the Emperor took three principal wives from three religious faiths; Muslim, Hindu and Christian. Presumably due to Akbar’s religious tolerance, the enactment of Ramlila’s beloved text spread through Mughal lands and were adopted by the Phad singers and puppeteers of Rajasthan where they are still performed today (see my earlier post: Facebook for the Gods). Akbar was believed to be dyslexic, so he was read to every day, had a remarkable memory and loved to debate with scholars. Written in seven kandas or cantos, Tulsidas equated his work with the seven steps leading into the holy waters of a Himalayan lake, Manasarovar. 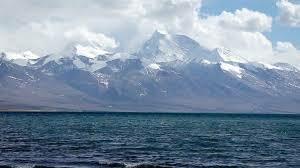 The lake lies on the Tibetan plateau and covers an area of 320 sq. km. The name comes from the Sanskrit words manas, mind, and sarovara, lake and refers to the belief that Lake Manasarovar was created in the mind of Lord Brahma before it was manifested on earth. Lake Manasarovar. Tibetan Plateau, 4590 m.
Akbar’s acceptance of different religious beliefs led Time magazine to note in 2011 “While the creed (i.e. :Din-i-Ilahi) no longer lingers, the ethos of pluralism and tolerance that defined Akbar’s age underlies the values of the modern republic of India.” Quite a tribute to a dyslexic scholar emperor who died four hundred years ago! Wake up, world. China is changing. The recent pro-democracy protests in Hong Kong have undoubtedly triggered change in China, according to Han Dongfang, a 1989 Tiananmen activist who now works in Hong Kong as a radio commentator. Since the gist of my post today comes from articles by other authors, a few acknowledgements are in order. First of all, thanks to Larry Willmore and his “Thought du Jour” blog posting on Hong Kong, reproduced in full (text in italics) below. Secondly, thanks to Joe Studwell for his sensible and measured op-ed, published in the Financial Times of 7th October, on where the focus of the protests should lie (What Hong Kong needs is not a strategy that backs Xi Jinping, the Chinese president, into a corner, but one that resonates with his own mindset. This is why the protesters should refocus on Hong Kong’s tycoon economy, and the anti-competitive, anti-consumer arrangements that define it.) Anyone interested in Hong Kong should read the whole editorial! You may think, like the Heritage Foundation [and Milton Friedman! ], that Hong Kong is a free market. However, except for external trade, it is not. ….Cartels are everywhere in Hong Kong. Supermarkets are a duopoly, one whose pricing power allows the chains to charge higher prices for the same products in some of Hong Kong’s most deprived areas. Drug stores are a duopoly. Buses are a cartel: high-priced, mostly cash-only, running shoddy, dirty diesel vehicles with drivers who earn a pittance. Electricity is provided by two, expensive monopolies that handle everything from generation to distribution, one on Hong Kong island and the other in Kowloon. The container ports are an oligopoly, with the world’s highest handling charges. 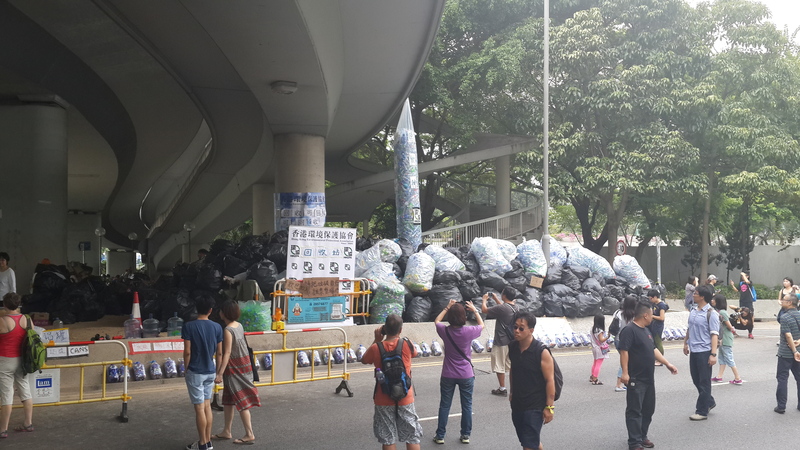 Yet they will not supply onshore electricity to vessels, which must instead run diesel generators that pollute the city air.Joe Studwell, “Hong Kong should focus its fight on the tycoon economy“, Financial Times, 7 October 2014 (ungated link). Joe Studwell is a freelance journalist based in Cambridge (UK). His latest book is How Asia Works: Success and Failure in the World’s Most Dynamic Region(Grove Press, 2013). He blogs at joestudwell.wordpress.com/. Mr Studwell writes from the political left, so overlooks two features of Hong Kong that illustrate the paucity of free markets. First nearly half the population lives in public housing. Second, anyone with a Hong Kong ID is eligible for subsidized medical care in public facilities. There are 41 hospitals and 122 outpatient clinics run by the government’s Hospital Authority (HA), but only 13 private hospitals. 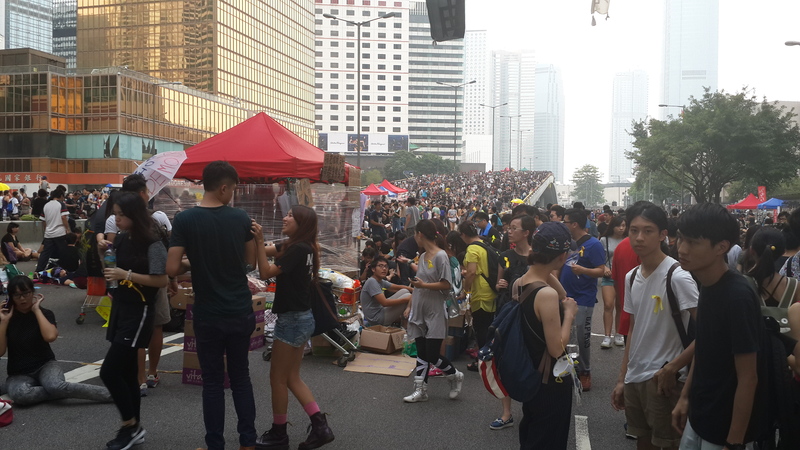 Today, Sunday 5 October, marks day 8 of the peaceful protests in Hong Kong and the sometimes violent reactions that the protesters faced. 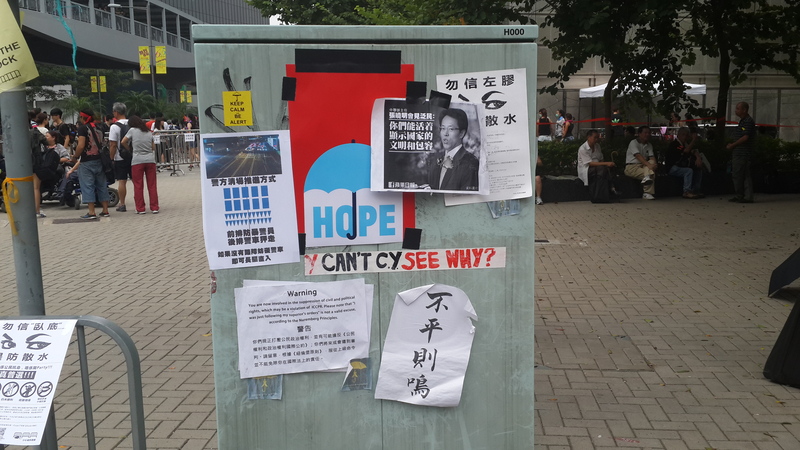 For today’s update, I’ve posted a link to the blog of Jason Ng, a Hong Kong-born lawyer, writer and democracy activist. See more on Jason’s blog at the link below. VS Naipaul, in his prescient book, A Million Mutinies Now, published in 1990, painted a pointillist portrait of India, a country on the brink of an economic revolution. In it, he described the lives of scores of people from all walks of life; high and low, peasants and urban sophisticates, politicians and professionals. Based on these interviews, he showed a multi-hued society on the cusp of economic revolution. The economic revolution did come to pass in India, and is still taking place, with periodic stutters caused by many of the factors he mentions in his book; religion, caste, corruption, gender bias, or ethnic and linguistic divides. Meanwhile China has raced ahead economically, leaving its equally populous Asian rival in the dust and smog of its success. Some political theorists surmise that democratic institutions are a natural outgrowth of economic prosperity. If so, China is ripe for the emergence of democratic institutions, nowhere more so than in Hong Kong, which has several decades of stellar growth rates and high living standards behind it. The generation of young people leading the sit-ins have grown up in a prosperous country with unrestricted freedom to travel. They have seen the world and now are impatient with the Chinese Communist Party’s attempt to dictate terms of the “One Country, Two Systems” policy promised by Deng Xiaoping in the early 1980s. Under this principle, there would be only one China, but distinct regions such as Hong Kong, Macau and Taiwan could continue with their own capitalistic and political systems while the rest of China used the socialist system. Walking through some of the barricaded streets of Hong Kong on October 2nd, day 5 of the “Occupy Central” movement (now also called the Umbrella Revolution because of the wall of unfurled umbrellas that were used to deflect the pepper spray that police initially used against the strikers), I was reminded by posters telling protesters to stay calm and avoid violence, that today was Gandhi’s birthday. Two busloads of armed and uniformed policemen arrived in unmarked buses while we were passing by the police headquarters on Lockhart Road. At the nearby Legislative Council complex, the path was barred by a a solid phalanx of policemen behind barriers. A crowd of people stood opposite the barriers, and waited and watched, continuing their vigil. The atmosphere was very calm, with a few anxious faces in the crowd. A man walked around handing out surgical filter masks in anticipation of possible police action. Some young people sat cross-legged on tarpaulins, mats or flattened cartons, chatting in groups, reading or simply resting. A father squatted beside his son, visibly proud, arm around the boy’s shoulders, deep in conversation. A family sat together sharing a picnic. One girl was obviously immersed in her homework. Jason Ng, a Hong-Kong born lawyer, writer, pro-democracy activist and blogger, spent several hours after work helping students with their homework. 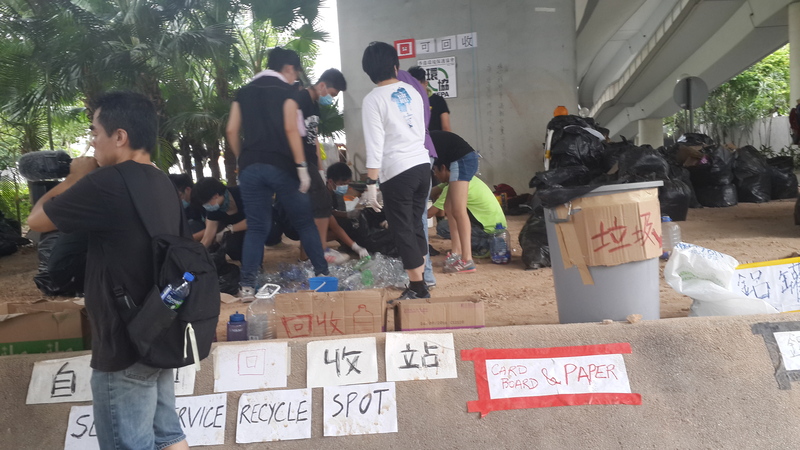 Jason writes: There is a renewed sense of neighborhood in Hong Kong, something we haven’t seen since the city transformed from a cottage industry economy to a gleaming financial center…. This is the Hong Kong I grew up in. See his blog at http://www.asiseeithk.com/ for more of his posts and in-depth accounts. Larger crowds today, probably on account of the holiday. It was a sultry afternoon. A young man and woman walked past us in opposite directions, spraying people with a welcome cooling mist of water from pump spray flasks. A knot of people stood in front of the Hong Kong Shanghai Bank Corporation, listening to a young man dressed in black T-shirt and trousers speak passionately in Cantonese. Most of the listeners were older, his parents’ generation, and they heard him speak with avid interest. One old man stood beside him eyes squeezed tightly shut to suppress tears, his mouth twisted in a grimace of pain. We got home at 8 in the evening, moved by what we had seen, and wondering where all this would end. On the news, the Communist Party was making threatening noises, in typical fashion blaming foreigners for fomenting what is very clearly a home-grown protest. I searched for literature that documents societies moving from dictatorship to democracy and found this deeply insightful paper by former Harvard professor Gene Sharp. Here is the link. The most important insight I gained from a quick reading of the above paper is Sharp’s idea of permission, where he explains that for a dictatorship to work, large segments of the population must give tacit permission for this to happen. What we are seeing in Hong Kong these days is the withdrawal of this permission to dictate. I wish for millions to support this courageous and peaceful protest in Hong Kong.